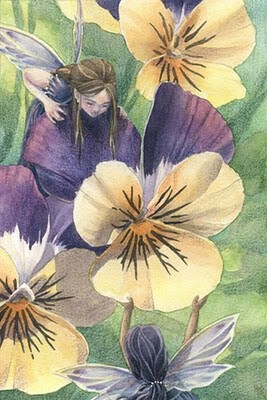 Piece posted in the EBSQ Show "Pansies and Violas" and listed in my etsy shop currently for the original painting at $51.00. Keep an eye out, soon there it will be available as an artist trading card and print. This is so lovely I really like this illustration Sara, it makes me think off sisters playing together.